Q-STAGE: New Works Series annually produces the work of four local queer emerging artists across two weekends of performance. Q-STAGE seeks to shift consciousness of and about queer identity through new performance work, facilitate conversation surrounding queer identities and queer art, and contribute to the growth of local, emerging queer artists. 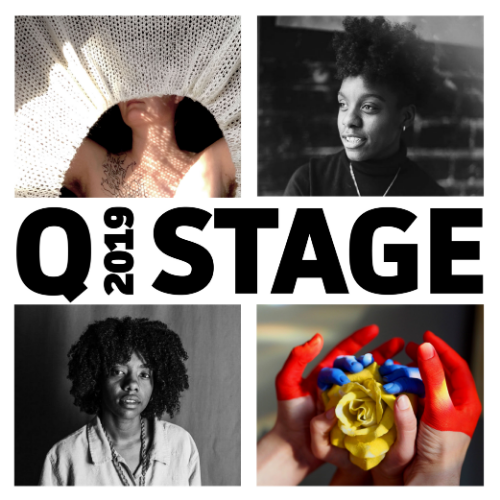 20% Theatre Company presents the 6th annual Q-STAGE: New Works Series, featuring four experimental world premiere performances created by local queer artists Taylor Seaberg, Dua Saleh, Keila Anali Saucedo and D. Allen. 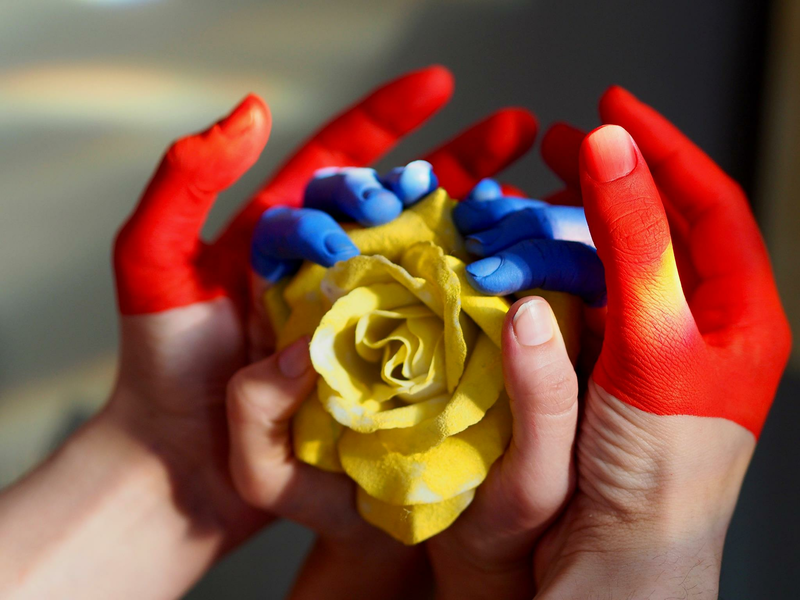 Q-STAGE 2019 new works include a mix of live music, theatre, video, movement, poetry and storytelling. 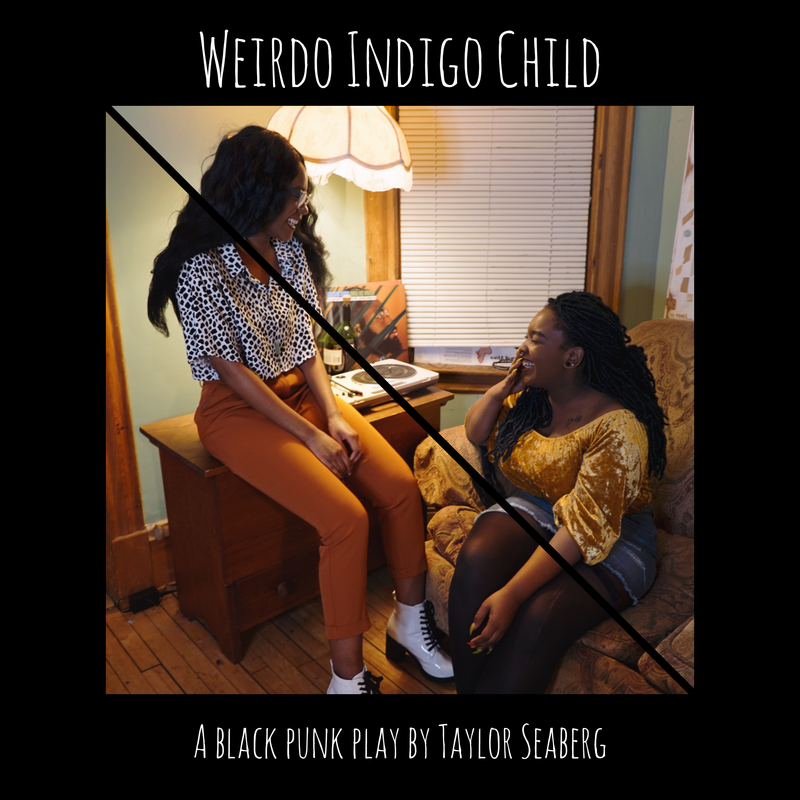 Weirdo_Indigo Child is a loosely autobiographical, audio/visual play about Evelyn (Evy) Ngiri (Salecia Barry), a genderqueer, Kenyan-American who spends their life growing up on military bases with an adoptive white father enlisted in the Air Force and a hyper-religious, assimilated Black mother. Evy is a boisterous, outspoken, and political black punk rocker going through the growing pains of adolescence and coming-of-age queerness with their confident and charismatic best friend, Cicada Otieno (Nia Madison). 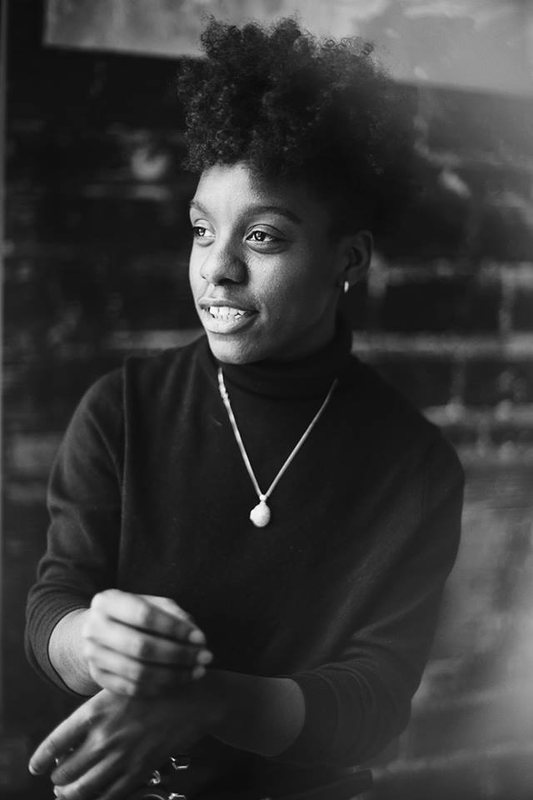 The play follows Evy’s search for validity in their identity and conflict over joining the military reflecting their race, sexuality and gender through love of playing the electric guitar and punk music. 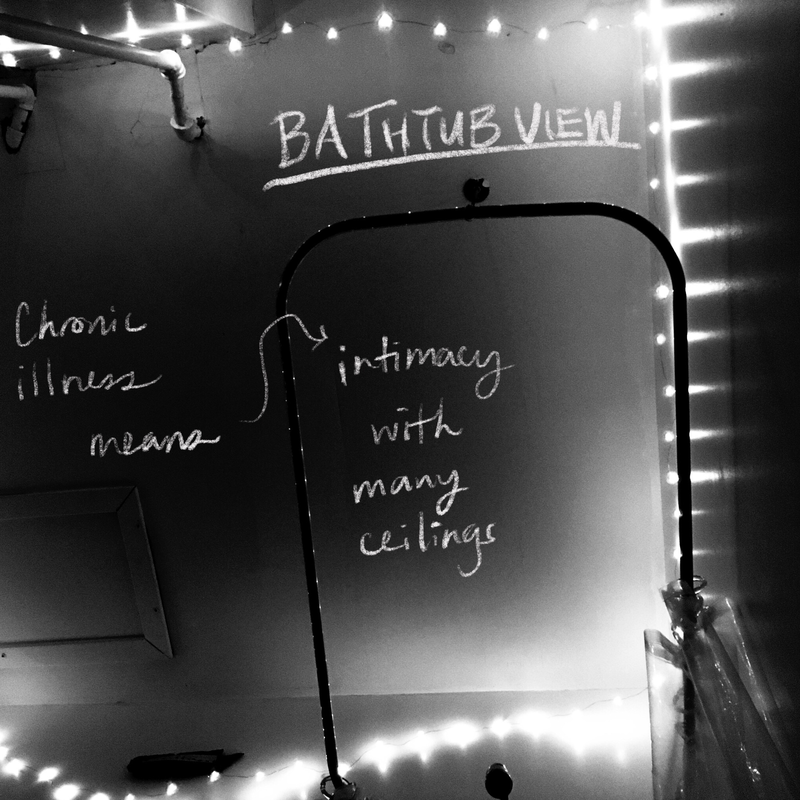 Displacements and Diaries is a four-part immersive stage performance that incorporates prose, film, live vocal composition, and theater. 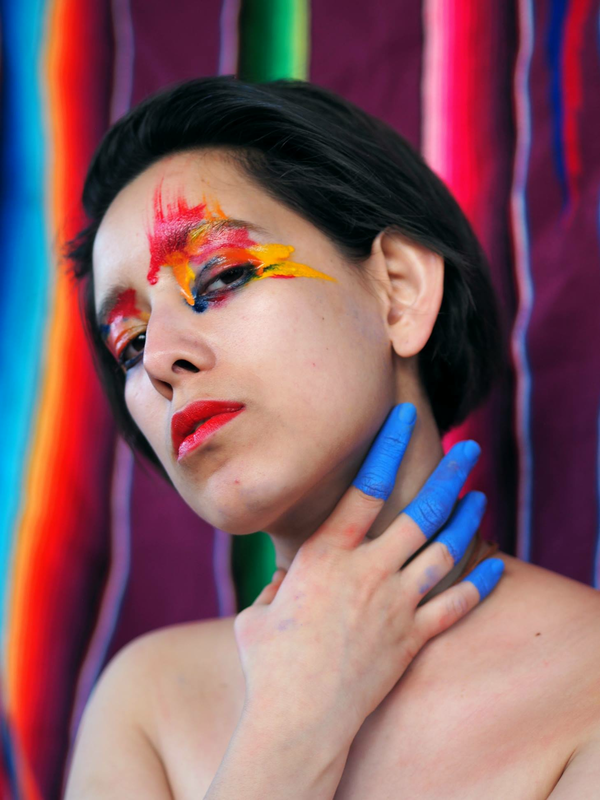 Brujería for Beginners explores what it might mean to reimagine Mexican people as complex, magical, and in touch with the reality of their xicanx spirituality. The play follows a family while grief is closing in around them. As they try to process their worlds, they explore catholicism, witchcraft, and indigenous spirituality to find their way to the holy. Guided by spirits, love for each other and ancestors (always), they find their way to claiming power and possibility. Keila Anali Saucedo Martinez Corona Salgado Villa Bolivar Ibarrais the child of Jaime Saucedo Corona y Rosalia Martinez Salgado. They are humbled by the opportunity to present work which is so dear to them. They'd like to express deep gratitude to the Q-Stage producers, to her director Marcela Michelle, and to their donors. They'd also like to thank the incredible ensemble, you are each a dream, a blessing, and a teacher of mine, gracias. Keila Anali has been writing & story telling since their childhood. They have presented work with Patrick's Cabaret, Lightning Rod, Mother Goose's Bedtime Stories, and, their artistic home, Pangea World Theater. Doy gracias por mis padres y mi familia y mis antepasados. Without you, there is no me. 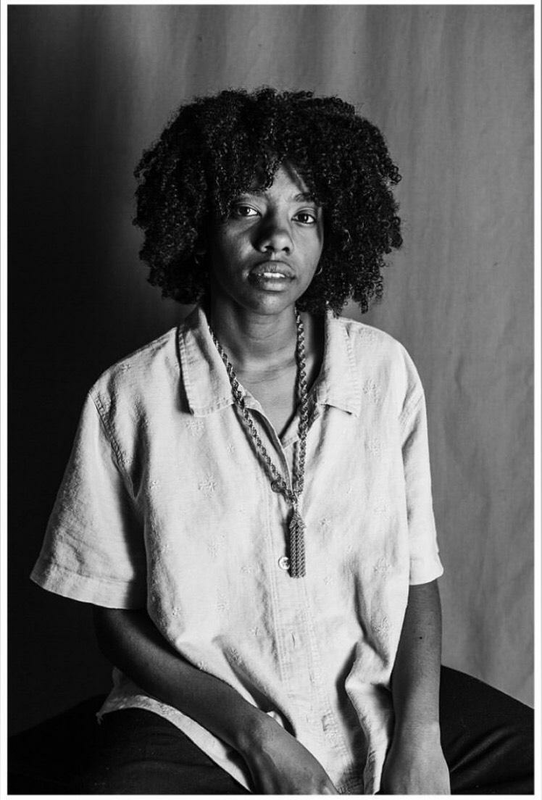 D. Allen is a multidisciplinary poet whose work engages with queer, trans, disabled embodiment. Their first book, A Bony Framework for the Tangible Universe, was published by The Operating System in February. Find them at thebodyconnected.com and on Instagram at @thebodyconnected.